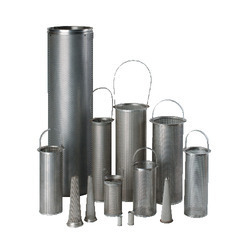 Our product range includes a wide range of oil filters, oil filters & s.s. strainers and water / oil repellant fabrics. 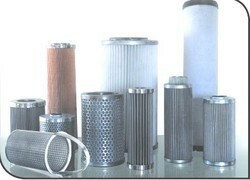 To meet variegated demands of our clients, we are engaged in offering an exclusive range of Oil Filters. The offered product is suitable to filter various types of oil like base oil, seed oil, vegetable oil, lube oil, kerosene, and furnace oil. These filters are fabricated using high-grade raw material and using latest cut edge technology to meet the industrial standards. Our team of dexterous professionals ensures to check the product on different quality parameters before delivering it to our valuable clients. Also, we provide these filters at an affordable price. We are counted as one of the top organizations involved in offering an exclusive range of Oil Filters and Stainless Steel Stainer. 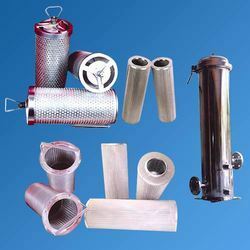 The offered product is widely used in various industries for filtration and straining purposes. Besides, they are designed with the use of premium quality material and advanced technology under the vigilance of adroit professionals. These filters and stainers are highly acclaimed in the market owing to features like durability and high quality. They are available with us in a number of sizes at an affordable price. Enriched with our immense knowledge and expertise in the field, we are involved in offering a comprehensive array of Oil Filters and S.S. Strainers. The offered product is widely used in automotive and industrial machinery in order to achieve optimum performance and high durability. They are available in various specifications to suit the diversified requirements of our clients. They are made using premium quality raw material, latest cut edge technology and under the vigilance of professional team to meet the standards set by the industry. In the process of powder filtration which contains more % of water or oil this type of fabric used. As the fabric surface repels the water and Oil surface gets non sticky. It enhance Cleaning procedure and reduce cleaning time. Also increase the fabric life due to less washing cycle.